DORA HUGHES, M.D., M.P.H. is a senior medicine and health policy advisor in Sidley Austin’s Government Strategies practice. 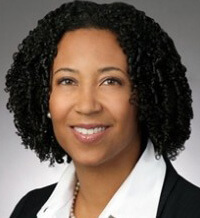 She provides strategic advice to clients across a wide range of issues relating to the implementation of the Patient Protection and Affordable Care Act (ACA), including coverage, health care quality and innovation, and payment policy and reimbursement. Dora also counsels clients on issues related to biomedical research and clinical trials, regulatory and approval processes for drugs and devices, including molecular diagnostics, health information technology and population health. Assisting a State in its successful submission of a major federal proposal on health system transformation for funding from the Centers for Medicare and Medicaid Services (CMS) Innovation Center. Advising a pharmaceutical company on HHS Ebola policy and its potential impact on medical product development. Advocating to the Congress and HHS for expanded coverage and strengthened protections for patients through Essential Health Benefit (EHB) packages on behalf of a patient coalition and pharmaceutical company. Advising a pharmaceutical company on FDA biosimilar regulatory guidance and future CMS payment policy considerations. Advising and managing a coalition, which includes an academic medical center, health professionals and private sector organizations, seeking to influence legislation moving through the Congress. Assisting numerous public and private sector companies with their efforts to obtain favorable coding and payment decisions by CMS. Advising both a foundation and pharmaceutical company on opportunities to advance health equity and minority health. Assisting a health IT innovator with analysis of legislative and policy proposals to assess business impact, and navigating the Congress and Administration. A frequent speaker at national conferences and before various other groups, Dora has appeared on All In with Chris Hayes on MSNBC and has been featured in the New York Times.